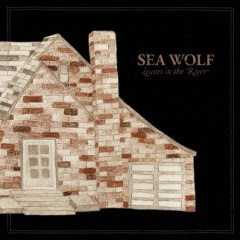 Sea Wolf was one of my great discoveries from South By Southwest. Matt recommended them to me right before we left for Austin. I caught a couple songs during my last day of work before the festival but didn't hear anything special. Then I saw them live and everything clicked. I've been listening to them non-stop over the last couple of days. Here are my two favorites.